It was the banner that first caught his eye. Jonathan Bonato can still remember walking past the multiunit building at 53 Columbus Ave. in San Francisco and seeing the “Save Chinatown Housing” sign on the front façade. He wished he could live there, not only because it was a great location—on the border of historic Chinatown and the booming financial district—but also because he was inspired by the residents who, for years, had been fighting to save the building from demolition and their seemingly imminent eviction. At the time, Bonato was unemployed and homeless, living at an SRO hotel thanks to a friend who paid for him to stay there for a week or so. It was difficult to find a place to live in a market so hot that one-bedroom apartments can go for $3,600 a month. A year later, opportunity came knocking. The city was accepting applications to purchase units in the building, which had been saved by a local nonprofit that intended to convert the residence into a limited-equity cooperative. Cooperative housing is not a new concept. Since the late 1800s, people have come together to own and control multiunit housing collectively through cooperative structures. Members purchase shares in the cooperative that entitle them to live in one of the units and have a vote in the governance and management of the building. They pay monthly fees to cover their share of the cooperation’s expenses, like mortgage payments, property taxes, and maintenance. There are different types of cooperative housing, each with its own set of rules and regulations. Limited-equity co-ops are a form intended to preserve affordability for low- and moderate-income households. Shares in limited-equity cooperatives, or LECs, have restricted resale values, and there are income limits for potential members. LECs tend to offer deeper affordability than other permanently affordable shared-equity housing models, such as community land trusts or deed-restricted inclusionary housing, meaning they can bring the benefits of those models to even lower-income households. 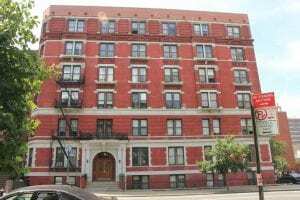 Units at 53 Columbus Ave., for example, sold for $10,000 each, with a $703 monthly charge, for a one-bedroom unit. To qualify for a single-person unit, applicants couldn’t earn more than $26,400 annually. “It seemed within reach, even though I didn’t have the [$10,000],” says Bonato, who by that time was earning $18,500 a year as an on-call desk clerk. “It was too good an opportunity [to pass up].” A couple months after submitting his application to the city, he was accepted into the program. He worked as many hours as he could to save money. It took him years to save up for the $10,000 purchase price, but that wasn’t a problem because it took years for all the paperwork to go through for the building to officially become a co-op. Eventually, by participating in the EARN Starter Savings Program, which helps people save for downpayments by providing $2 for every $1 saved, Bonato was able to purchase a unit in the co-op in 2011. Before the property at 53 Columbus Ave. converted to an LEC, it had been decades since a new cooperative formed in San Francisco, which is a far cry from the rate at which they were erected in the ’60s, ’70s, and ’80s when limited-equity co-ops were all the rage in San Francisco, New York, and Washington, D.C. In those days there were more financing options, including subsidies and below-market interest rates, that allowed developers who wanted to build LECs to secure affordable loans. Now, limited-equity co-ops are mostly created through conversions of existing buildings, and even then, it’s difficult to secure funding for such a venture. Nonetheless, while the total number of LECs has dwindled, in recent years there has been what might be the beginning of a resurgence of sorts across the country. The first limited-equity cooperatives were built in the 1960s, and since then, low- to moderate-income tenants have been able to take advantage of hundreds of thousands of affordable cooperative units across the nation. The Urban Homesteading Assistance Board (UHAB), a New York City–based nonprofit that has helped residents acquire and manage their apartment buildings for more than four decades, has recently tried to quantify how many LECs remain. Though it had been estimated there could be as many as 425,000 limited-equity units across the U.S., UHAB has only been able to account for 300,000 of those so far. “Some of [the 425,000 figure] was wishful thinking and the expectation of what programs were going to produce but didn’t,” says UHAB Executive Director Andrew Reicher. Moreover, only 160,000 of the 300,000 were still LECs. Many of the older properties had become market-rate cooperatives after decades-long state or federal regulations expired. Early limited-equity cooperatives typically had 30- or 40-year low-interest mortgages from the U.S. Department of Housing and Urban Development or state-based programs like Mitchell-Lama in New York. Under the terms of these mortgages, once they are paid off, the co-op has an opportunity to opt-out of being limited equity and become a market-rate co-op instead. This is done by a two-thirds vote. “It’s a pretty long and involved process,” says Alexander Roesch, a UHAB project associate who works in co-op outreach and research. For Mitchell-Lama properties in New York, Roesch says a feasibility study is typically (though not always) done to assess the development’s operations and estimate the value of the building. Then a plan is developed to determine how many units would need to be sold at market-rate in order to keep the development affordable for residents who decided to stay. As long as they stay limited-equity, Mitchell-Lama properties pay below-market-rate property taxes based on the co-op’s operating expenses rather than the market-rate value of the property. Therefore, whenever a development leaves the Mitchell-Lama program, taxes can increase anywhere from 10 to 20 times. So why would co-op members decide to privatize? In hot markets, they can reap significant profits by selling their units after the price restrictions have ended. In Manhattan, for instance, cooperative members are told that their unit could be worth as much as $1 million. Depending on when they moved in, co-op members could have initially paid between $3,000 and $30,000 to buy into the cooperative, thus earning quite a windfall if they decide to sell. Since the Mitchell-Lama program began, 10 developments, with about 6,000 units, have become market-rate co-ops, Roesch says. There are currently 61,432 units in about 86 properties still in the program. Some will be required to stay LECs for decades to come, and others’ restrictions will end in the next couple of years. Of course the ending of requirements doesn’t mean a co-op has to convert. There are buildings that are no longer restricted by HUD regulatory agreements, but have nonetheless maintained limited-equity status and income restrictions. Fisher says it’s an interesting phenomenon that hasn’t been fully researched. Given the loss of affordable units when an LEC goes market rate, is there a way to prolong affordability restrictions beyond the standard 30 or 40 years? There isn’t a clear answer. Some states have laws against making contract provisions “in perpetuity,” making it difficult to have permanent affordability restrictions. This challenge is one of the reasons why there has been a growing conversation about combining limited-equity cooperatives with community land trusts (CLT), says Beth Sorce, the director of capacity building at Grounded Solutions Network. Similar to LECs, the goal of a CLT is to create perpetually affordable homeownership opportunities for low- and moderate-income families using income limits and resale price restrictions. In the CLT model, the affordability restrictions are enforced because the land trust keeps ownership of the land and rents it to the owner of the building through a long-term ground lease. Land trust homeownership is most often single-family homes, not multi-unit buildings, but it doesn’t have to be. Starting with the massive Cooper Square project in New York City, the idea of combining the two in order to bring the longer-term stewardship provided by the 99-year ground lease to co-op buildings has started to spread. People are willing to think about ‘sharing’ in a really different way than we have in the past, whether we do car shares or other types of sharing . . . maybe it’s time that cooperatives are thought about as a housing option that has greater potential. The San Francisco Community Land Trust, the nonprofit that holds the ground lease for the 53 Columbus Ave. co-op, and the Champlain Housing Trust in Vermont, both have limited-equity cooperatives in their rosters, Sorce says. The land trust owns the land underneath the cooperative and leases that land to residents who collectively own the building through their shares in the co-op. “The community land trust plays that same monitoring, compliance, and stewardship role with the cooperative [that] they do with the single-family homeowners,” Sorce says, and counterbalance the individual co-op residents with the original intention of keeping the building affordable for new residents. There’s another helpful aspect of the land trust/cooperative model: tax benefits. Often, if a property is in a state where community land trusts earn a taxation reprieve, those benefits are passed on to the cooperative too, allowing the co-op to keep maintenance fees low even after shorter-term tax breaks expire. LECs, like most affordable housing projects, need subsidies, below-market interest rates, tax breaks, and other monetary assistance to get started. Getting that subsidy is one of the greatest hurdles to developing more of them. After World War II, Section 216 of the IRS code put cooperative ownership on the same level as homeownership with regard to mortgage interest and property tax deductions. But that was 20 years before limited-equity cooperatives were born. In the ’60s and ’70s, an interest in cooperatives and some useful federal financing programs set the stage for the model. Labor unions were sponsoring housing co-ops, and the model was better understood and more popular at the time, says Roesch. “Co-op was just more prevalent in policy language back then,” he says. Section 221d(3) BMIR (below-market interest rate) from the National Housing Act of 1961 was not a cooperative-specific program, but it allowed developers—both private and nonprofit—to obtain Federal Housing Administration (FHA) insured, 3 percent below-market interest rate mortgages from private lenders. With rates around 6.5 percent, this was very appealing. Congress cut the program, and Section 236, which provided a subsidy to reduce mortgage interest payments to as low as 1 percent, took its place in 1968. “Under each, a nonprofit entity could get 100 percent of value financing on conversion and construction loans . . . . Cooperative applicants [could] pay an amount equal to their then monthly rent, or not much more, as the purchase price of a membership,” Fisher says. The 236 program was also cut after a few years and since then there hasn’t been a federally backed below-market interest rate program that covered such a large portion of the initial financing of multiunit affordable housing, says Fisher. While these programs were not co-op specific, they were used to create about 148,000 LEC units, more than any other program since, he added. New York’s Mitchell-Lama program, passed in 1955, encouraged construction of moderate-income housing with loans covering 90 to 95 percent of development costs. The program was well suited to co-op development, and about 67,400 units of cooperative housing—in more than 90 developments—were created through the program, according to UHAB. New York City’s Office of Housing Preservation and Development (HPD) has also created tens of thousands of affordable LEC units though the Housing Development Fund Corporation (HDFC) program. Unlike the HUD or Mitchell-Lama programs, there wasn’t much new construction for HDFC co-op buildings. The bulk were derelict buildings seized by the city in the 1970s, repaired, and then sold to tenants. These co-ops receive a tax break that limits the assessed value of each unit in a building to about $9,000, which helps keep the units affordable. While this idea sounds good in theory, in some places—like the Bronx—the assessed value of a unit isn’t as high as the $9,000 limit, so those properties aren’t receiving any benefit from being in the program, Roesch says. Limited-equity cooperatives are often formed when tenants purchase their buildings, especially now that larger scale construction is less common, and so places with laws or programs that give tenants that opportunity often see more LECs. But navigating through a real estate purchase is complicated without help. Nonprofits like UHAB, which assist low-income residents with all the details of turning their buildings into co-ops, make a huge difference. UHAB has been part of the preservation of more than 1,600 buildings in New York City since 1973, working often with the Tenant Interim Lease program, which allowed tenants to purchase city-owned buildings that landlords had abandoned. UHAB helps tenants organize to change the ownership of their building and understand how to manage it themselves. It also helps new cooperatives secure financing for building rehabilitation and provides technical assistance and training for co-op members. Outside of New York, Washington, D.C., has the second highest concentration of cooperatives in the nation, says Robert Burns, executive director of D.C.’s City First Enterprises, a community development financial institution (CDFI) that has launched City First Bank and City First Homes. The nonprofit has helped low-income tenants purchase several buildings—totaling 244 units—to establish cooperatives, a number of which have become limited equity. In D.C., when a landlord decides to sell a property, tenants who live in the building have the “right of first refusal,” meaning the first chance to purchase the building, thanks to a law called the Tenant Opportunity to Purchase Act. It’s fairly easy for residents to invoke this right, but securing financing to purchase the property is when the difficulty arises. That’s where City First comes in, providing financing for the acquisition and rehabilitation of properties whose tenants want to go co-op. The CDFI has also offered post-purchase stewardship loans to make sure buildings are preserved and live up to their potential. Share loans—an individual loan obtained by a tenant to purchase a share of the cooperative—is a common stumbling block for LECs. Though shares are typically less expensive than a traditional home purchase, they are still often out of reach for many without financing. However, share loans face the challenge of all smaller loans: they have similar origination and underwriting costs as larger loans, but generate less return, making them less profitable. Few lenders offer them. UHAB surveyed about 55 LECs around the country outside of New York, and found that 70 percent weren’t able to get share loans for their buyers. “[Share loans] and financing for the whole co-op are the two most commonly cited challenges,” Roesch says. He didn’t know whether those co-ops found another way around the share loan issue. The buy-in for the co-ops UHAB helps launch is typically $2,500 for tenants who are present at the time of conversion. The nonprofit can usually help residents finance that sum. “It’s important to remember that the majority of the 30,000 units of HDFC co-ops in New York City were converted from city-owned property with the negligible purchase price of $250,” Roesch says. For new residents looking to buy into an existing HDFC co-op, the purchase price is much higher, though still well below market for homeownership in New York City, around $70,000. (Outside purchasers are typically around 60 to 80 percent of AMI, while original purchasers are typically much lower income.) UHAB can get a $40,000 grant from the state’s Affordable Housing Corporation to bring the price down to $30,000 for new purchasers, which can be financed with a loan. UHAB has recently become a licensed CDFI and can offer those loans itself, though there are credit unions and other financial institutions in the city that are familiar with co-ops and will offer them. Once UHAB lines up more capital, Roesch says, it wants to offer share loans in other parts of the country where they are are harder to come by. Residents of 53 Columbus Ave. in San Francisco had to save and/or borrow funds needed to purchase their units. The city hopes to include co-op shares as part of its downpayment assistance program in the future, says Tyler Macmillan, the organizational director of the San Francisco Community Land Trust (SFCLT). To purchase a building in San Francisco, SFCLT can take advantage of the city’s Small Sites Program, which allows the organization to pay back a loan only when it has a positive cash flow year. Even then, the land trust will only be required to pay back two-thirds of the cost. “It’s basically a free loan from the city,” says Macmillan. SFCLT works with banks, credit unions, community foundations, and CDFIs to secure loans to purchase a building, but those loans are limited by the amount of debt low-income co-op members can sustain. The Small Sites Program makes up the gap in the acquisition and rehabilitation costs. SFCLT specifically looks for 5- to 20-unit buildings because a majority of eviction activity takes place in that size range, Macmillan says. Along with 53 Columbus Ave., SFCLT is working with four more buildings that are in the process of turning into either zero- or limited-equity cooperatives. The cost of a building is just one factor in SFCLT deciding whether to purchase a property. The second, and probably most important, factor is the tenants. The tenants must already have worked cooperatively or be really interested in that model, Macmillan says. Even if the funding is available, the land trust will shy away from purchasing a property if resident cohesion isn’t already part of the mix. The history of limited-equity co-ops is full of residents who work together to fight eviction and take care of their building, says Grounded Solutions’ Sorce, noting that tenants who organized to become owners had often already been taking care of these properties when no one was watching out for them. For more than eight years, residents at 53 Columbus Ave.—calling themselves Columbus United—fought eviction after their building was put up for sale. They held weekly and monthly meetings, and appealed to community groups and tenants’ rights activists for help. They couldn’t afford to purchase the residence themselves, but they wouldn’t back down from their homes without a fight. In 2005, SFCLT purchased the land with its vision for permanently affordable housing, and supported the residents in forming an LEC. Burns of City First Homes says it’s extremely important to have a core group of individuals who are seriously committed to the cause, in part because becoming a cooperative can take years. “That means people sticking together through the entire process [of starting a cooperative] and that’s only the first stage,” he says. SFCLT knows the importance of stewardship and training. Those factors are actually the second half of the land trust’s operation—the asset management side. The organization has an asset manager who takes care of 102 units, and an education and outreach manager who aims to meet with co-ops monthly to get them into the “healthy nonprofit habits” they’ll need to eventually take over a building and be successful. Tenants and soon-to-be co-op members need to understand the building’s annual budget, where their rent/soon-to-be monthly maintenance is going, how to file for 501(c)3 status, how to develop leadership, and even how to handle grievances. SFCLT’s one asset manager “does not have the capacity to chase folks down who aren’t bringing their certification in and do that sort of hands-on, aggressive landlording that a more traditional management company might do,” Macmillan says. The co-op boards will have to do that themselves. Education and outreach is “critical” not just for before the organization purchases the property, but to keep everyone engaged as the process moves forward, Macmillan says. “How do you keeps folks engaged? We’re finding that really requires an investment,” he says. City regulations often help, ironically. Tenants must submit annual income certifications and “a certain amount of just jumping through the hoops” that normal renters in a private market building wouldn’t have to do. That helps to prepare tenants for other challenging aspects of co-op living, like evening meetings that focus on various issues, including finances—both on the cooperative and individual level. Please do more on the same or similar topics. Thanks very much.